You’ve seen stars like Gwyneth Paltrow, Victoria Beckham and Jennifer Aniston touting the benefits. You’ve noticed dozens of new products lining the shelves of your local grocer. And you’ve probably even seen gluten free options popping up on restaurant menus and in bakeries. And with all this fanfare, you may wonder if “going gluten free” is just another food fad… or if it could be a path to a healthier life. The truth is, for most people, giving up gluten means gaining better health. That’s because gluten – the protein found in grains including wheat, barley, rye, spelt, kamut, and oats – can contribute to a laundry list of health problems. These can include depression, anxiety, schizophrenia, OCD, autism, ADHD, autoimmune disorders and dementia… not to mention bloating, fatigue, gastrointestinal distress, nutrient deficiencies, respiratory difficulties, systemic inflammation and more. And for those with celiac disease, the effects are much more dangerous. When people with celiac disease consume gluten, the body mounts an acute immune response. The inflammation this causes can damage the tiny finger-like projections (or villi) of the small intestine. The end result can be severe pain and gastrointestinal upset, as well as vitamin and mineral deficiencies. But what is it that makes seemingly innocuous foods like bread and pasta so harmful to our health? Twelve thousand years ago our ancestors lived by foraging and hunting. The typical meal of the day might include fresh-picked greens, berries, nuts, seeds, eggs and anything our stone-age kin could catch or kill. But with the advent of agriculture and the subsequent Industrial Revolution, grain-based foods (not previously on the menu) began to fill our plates, eventually ballooning to the current 6-11 daily servings now recommended by the USDA. Many experts believe that it is this dramatic dietary shift that has caused the gradual decline of human health and the rise of chronic disease. You see, our genetics have changed very little since the days of our hunter-gatherer ancestors. And while 12,000 years might seem like plenty of time for humans to adapt, this is just the blink of an eye in evolutionary terms. Scientific research shows that our genes have changed very little from that of our Paleo relatives. Eating a diet that deviates from your “evolutionary blueprint” can have dire consequences. Cereal and toast for breakfast… a sandwich at lunch… a granola bar for snack… rolls at dinner. The Standard American Diet includes a hefty helping of gluten at every meal and snack. But since gluten has only recently been introduced into our diet in the grand evolutionary scheme, our bodies haven’t developed the capacity to handle these “foreign” proteins. At first, you may feel satisfied by these “comfort foods” (learn about the gluten addiction cycle here), only to succumb to post-meal bloating and fatigue. Maybe you chalk it up to old age, or just accept it as the norm. But don’t: Symptoms are signs. You see, as our immune system works to protect us against these foreign proteins, it creates inflammation throughout the body. Your digestive tract, heart, joints and brain can all be affected, creating a wide range of systemic effects. What’s more, American strains of wheat (like those used to make fluffy white bread, and stretchy bagels and pizza dough) have been bred to contain much higher levels of gluten than those traditionally found in Europe. Higher gluten content means more foreign proteins… and more inflammation. Is Gluten Affecting YOUR Health? So how do you know if gluten is affecting you and your family? A simple way to find out is to remove gluten for two to four weeks, and take note of how you feel every day. Is your energy increasing? Are you sleeping better? Do you have less joint pain? After the gluten-free trial period, begin introducing gluten-containing foods to your diet for a day or two and monitor how you feel over the next 72 hours. If you notice any symptoms, this is an indication that gluten is an issue. Another way to determine your reactivity to gluten is to get a full panel of IgA and IgG tests done for gluten and wheat. You may also consider the HLA DQ2 and DQ8 genotyping for celiac disease. Talk with your doctor about your risks and options. Some tests are covered by insurance. 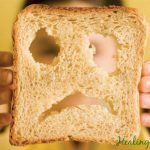 Even if you don’t have celiac disease, you can still experience severe health problems from eating gluten. In fact, a large study in the Journal of the American Medical Association found that people with diagnosed, undiagnosed, and “latent” celiac disease or gluten sensitivity had a higher risk of death, mostly from heart disease and cancer. Hunter, JO. 1991 Food allergy - or enterometabolic disorder? Lancet 338(8765):495-96 Severance EG, Dupont D, Dickerson FB, Stallings CR, Origoni AE, Krivogorsky B, Yang S, Haasnoot W, Yolken RH. Immune activation by casein dietary antigens in bipolar disorder. Bipolar Disord. 2010 Dec;12(8):834-42. doi: 10.1111/j.1399-5618.2010.00879.x. Bellanti JA, Sabra A, Castro HJ, Chavez JR, Malka-Rais J, de Inocencio JM. Are attention deficit hyperactivity disorder and chronic fatigue syndrome allergy related? what is fibromyalgia? Allergy Asthma Proc. 2005 Jan-Feb;26(1):19-28. Anisman, H, Z. Merali. 2003. Cytokines, stress and depressive illness: Brain immune interactions. Ann Med. 35:2-11 Banks, WA. SA Farr, JE Morely. 2002-2003. Entry of blood-borne cytokines into the central nervous system: Effects on cognitive processes. Neuroimmunomodulation 10:319-27 Journal of Pediatric Gastroenterology & Nutrition. Vol. 49, Suppl 1, 2009 E12 Ludvigsson JF, Montgomery SM, Ekbom A, Brandt L, Granath F. Small-intestinal histopathology and mortality risk in celiac disease. JAMA. 2009 Sep 16;302(11):1171-8. I am a purchaser of your Better Breads recipes, as well as the Better Breakfasts, and Guilt Free Deserts. No rookie in the kitchen, yet even after following your instructions to the letter including recommended brands, measuring by weight, etc I still am having unsuccessful results with the recipes I have tried. The primary reason I purchased your recipes is that I wanted to be able to prepare healthier alternatives to foods I love without waste or worry of inflammatory ingredients. Yet, with the expense of the ingredients I was hoping for more fool-proof results. Perhaps some video tutorials could be presented for those of us that have invested in your recipes and these higher priced ingredients? Thanks for your comment. We have a customer support team who handles questions and helps to ensure you are 100% satisfied with your purchase. If you follow the instructions to the letter, use the right brands, weigh your ingredients, and have a properly calibrated oven, you will get the exact results you see in every photo of the book. I have had digestive problems for several years. Supposedly, eosiophilic enterites, a disease of otters?! I had gone gluten free for a while a couple of times and saw no difference . However, the last time I did, I noticed that I didn’t feel as bloated (with pain) and that my ankles didn’t get so swollen, so have gone mostly gluten free. I have always had a problem with being hypoglycemic so have very little sugar in my diet. I am 70 and think that I eat pretty well. Not all organic but about half and half as we are living on medicare plus income. My daughter, in Texas, has been diagnosed with UC. We live in Colorado east of the Rockies, about a mile high. I am considering ordering your books on breads etc. Are they geared for my altitude? Should I have luck with them I will consider them for my daughter who is gluten free.